Definition of Prayer Stick: What is Prayer Stick? A Prayer Stick is also known as a Spirit Stick or Medicine Stick is used to make offerings and petitions to the spirit world. A Prayer Stick is primarily used by a Shaman or Medicine Man, but are also used and created by tribal members. 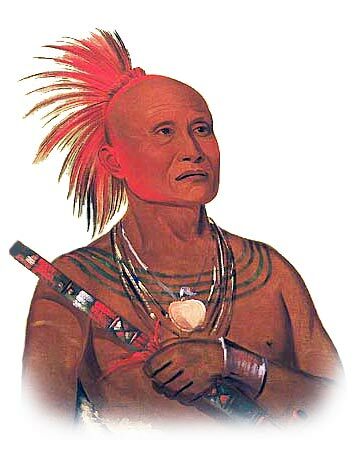 A Prayer stick was buried in the ground which had a sacred meaning or significance and including springs, caves and near fields where corn is planted. Prayer Sticks are most often associated with rituals relating to religious ceremonies particularly of the Southwest Native American tribes of the Hopi, Pueblo and Zuni. Prayer sticks are called 'Pahos' by these tribes. A prayer stick was seen as a powerful supplication to the spirits and the making and offering of a prayer stick was not confined to the Shaman or Medicine Man. At the time of the solstice, prayer sticks are planted by all members of a family in small holes that were dug by the head of the household. Each prayer stick is prepared with due respect and ceremony. The wood is carefully chosen for its strength and spirituality and taken from a tree that had special meaning to the person - refer to Tree Symbols. Permission was sought from the tree spirit to make the prayer stick. The bark was stripped and the prayer stick carved, decorated and a feather was attached. An offering of tobacco was occasionally tied to the prayer stick. The planting of the prayer stick was ceremoniously observed by the family and members of the community and silent prayers for rain and a successful harvest were offered during the process. Prayer sticks were important to religious ceremonies and rituals performed during the winter solstice which included the making and planting of a prayer stick. Seasons are marked by the the turning of the sun on the solstices. Winter Solstice on December 21 marks the start of winter, it is the shortest day of the year in the Northern Hemisphere. After the Winter Solstice, each day becomes longer until the longest day of the year arrives around June 21.